The Global Action Team brings the Global Leadership Team (GLT), Global Membership Team (GMT) and the newly formed Global Service Team (GST) together, creating a unified approach to the three key areas of Lions. The Global Action Team champions the vision of LCI and LCIF and reignites the passion for service in Lions and Leos. 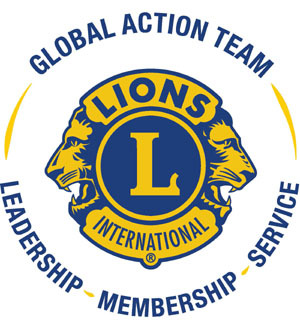 The Global Action Team puts the entire Lions network to work for your club. And teamwork is the key - it brings the entire GLT, GMT and GST together to support your club. It’s a bottoms-up, whole-club approach that can energize every facet of your club. Help is all around you. Leadership Development is critical to the overall success of any organization, including Lions Clubs International. The Global Leadership Team provides the vision, guidance and motivation necessary to positively impact our association, assuring our position as the global leader in providing needed community service for many years to come. The resources below are intended to assist the Global Leadership Team with their role in leadership development. Membership is critical to our association. Members join to serve. They remain Lions because of the service being conducted, the friendships that have developed and the impact they have made in people’s lives. The Global Membership Team (GMT) will support membership development at the club level by recruiting new members and promoting positive membership experiences. At the district level, the GMT will start clubs in new areas to further increase our service impact. More members = more hands for service. Individual Lions, Leo and Lioness clubs volunteer to address local humanitarian needs by mobilizing people and resources to deliver hands-on service and improve the overall wellbeing of their communities. With more than 1.4 million members in over 200 countries and geographic regions around the globe, Lions have a shared identity and a shared responsibility to the people of the world through SERVICE. The Global Action Team (GAT) structure is a "bottom-up" approach to support clubs. It is an entire Lions network designed to work for clubs. The following is how this approach works for the clubs in DIstrict A4. Each club president is automatically the club's Global Action Team (GAT) club chairperson. This chairperson reports directly to the GAT district chairperson - the district governor. The roles and responsibilites of the GAT club chairperson can be found here. Each district has a GAT district chairperson which is automatically the district governor for that district. Under the district governor are the GLT coordinator, GMT coordinator, and GST coordinator appointed by the district governor. Depending on the constitution and bylaws of the district, the appointments can be from one to three years. Click on the position below to find the roles and responsibilities of the district coordinators.